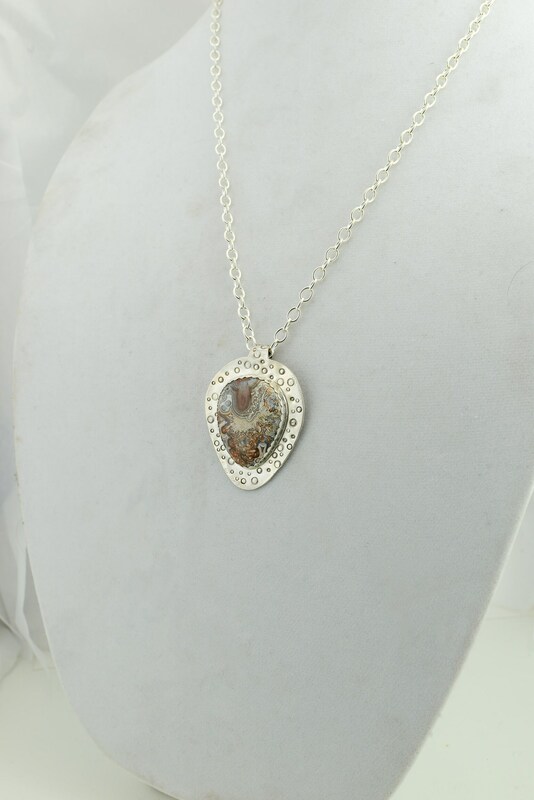 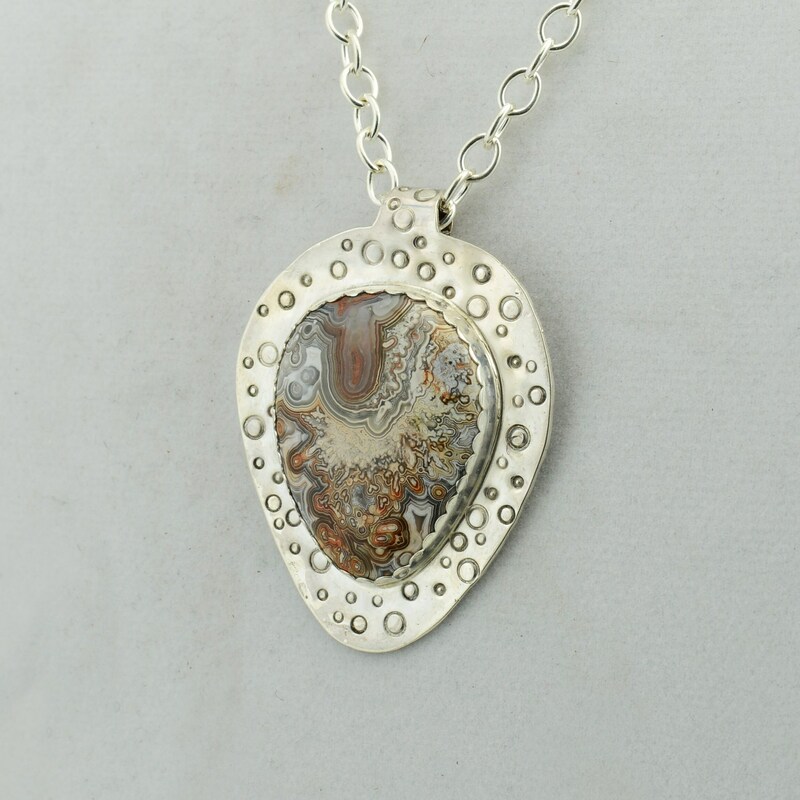 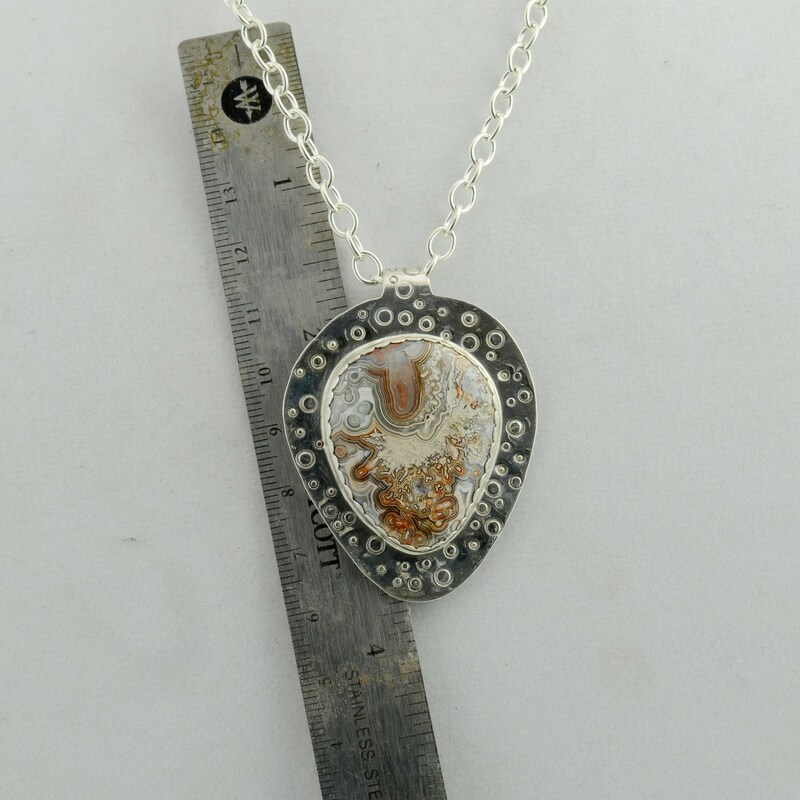 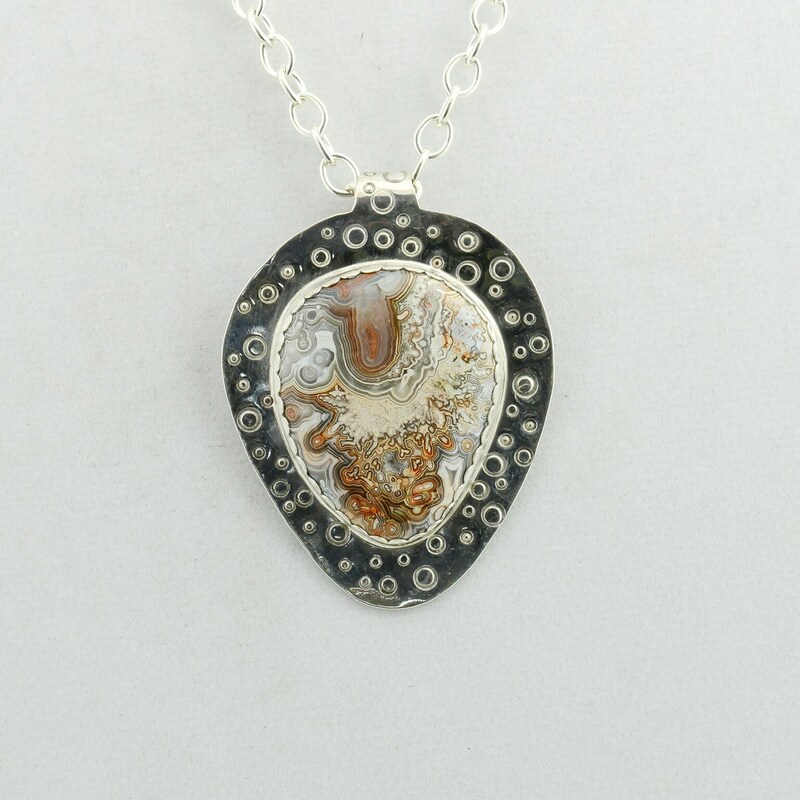 A one of a kind handmade sterling silver pendant made with an elegant hand cut and polished CrazyLace Agate stone. 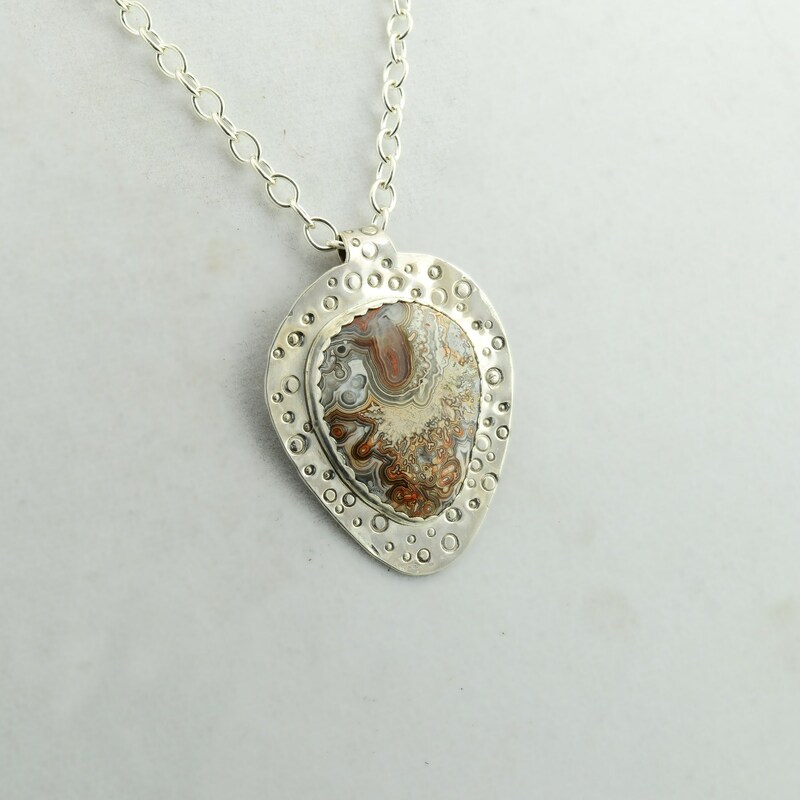 Set in a fine silver scalloped bezel on hand stamped sterling silver back plate. 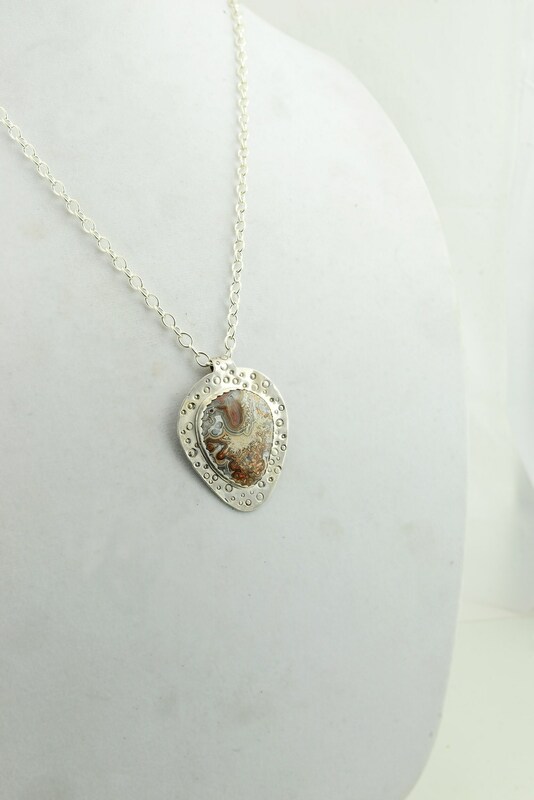 Comes with a silver chain please select a size below.